New month, new release! 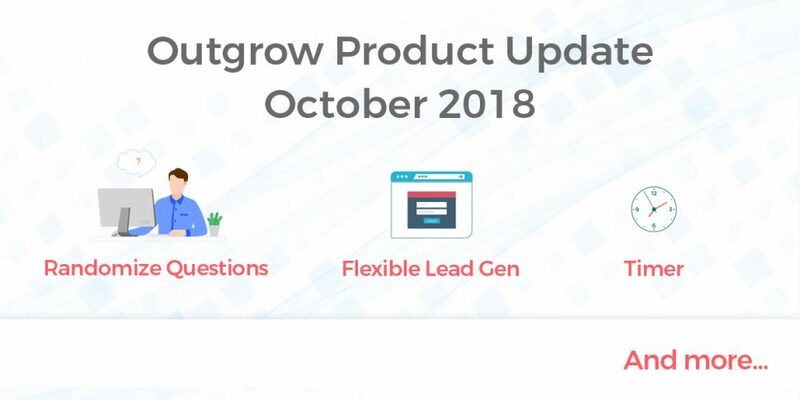 We're presenting the Outgrow product update for October 2018 with flexible lead gen, timer, randomize questions and more! 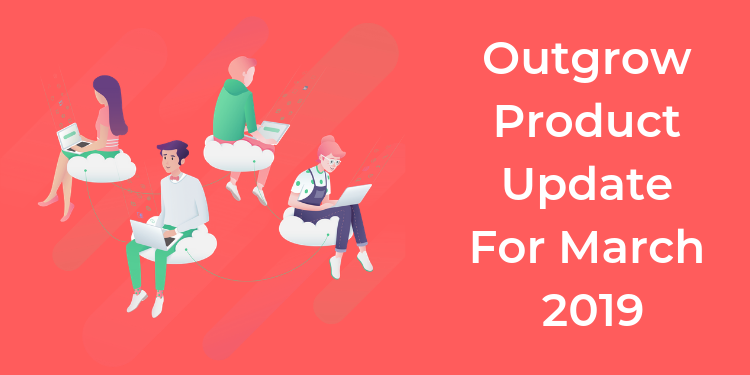 We're back with another product update, The Outgrow product update July 2018. 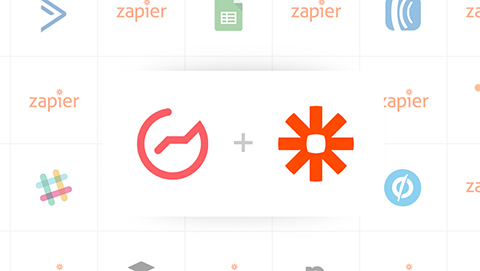 Read on to explore and know more about the new features we've added. 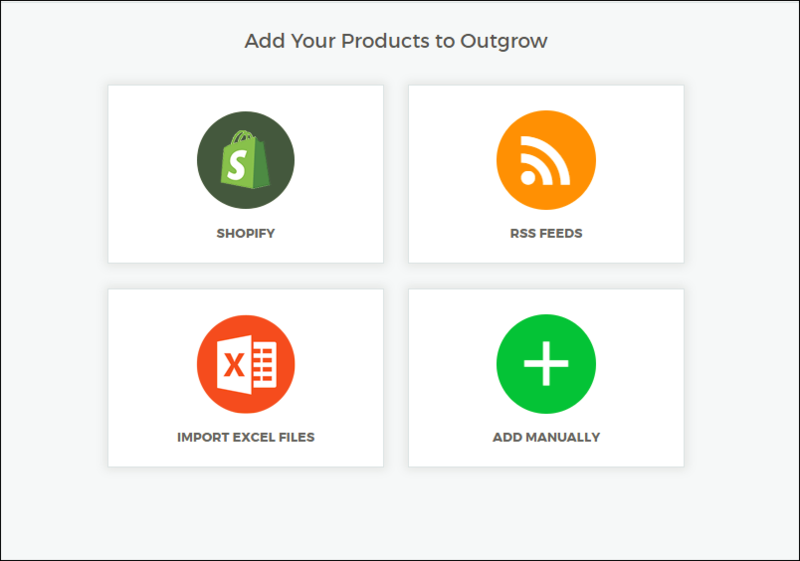 We just made Outgrow’s latest update live. Let’s give you a quick run through of all the awesome features that are in store for you as part of release 3.4. 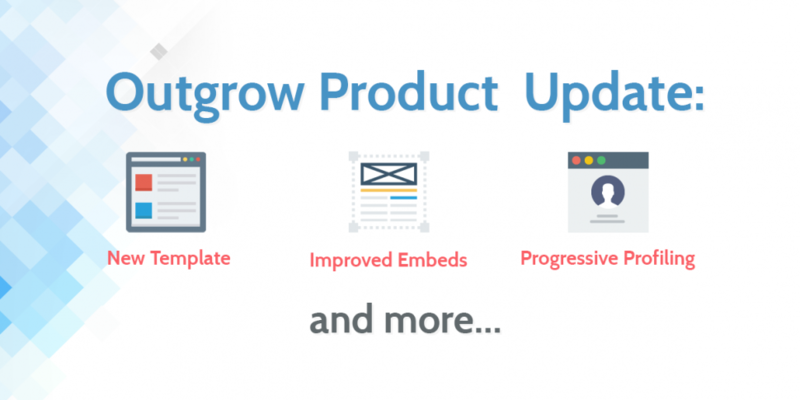 Here’s a quick run down of the awesome new stuff we’ve just launched inside the Outgrow platform as part of product update, release 3.2 and 3.3. Dig in! 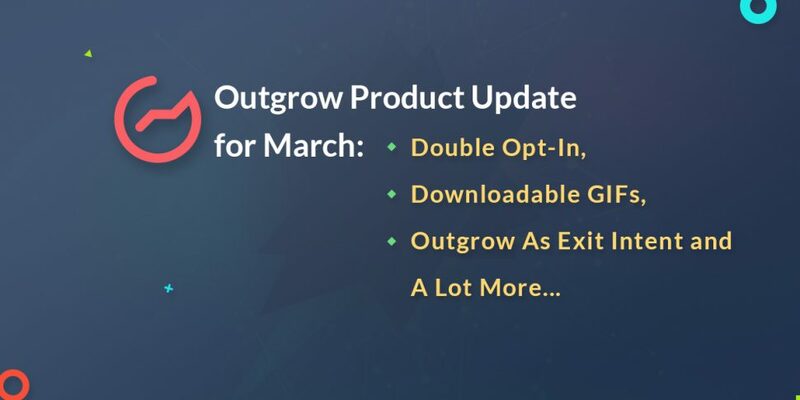 Here’s a quick run down of the awesome new stuff we’ve just launched inside the Outgrow platform as part of product update, release 3.1. Dig in! 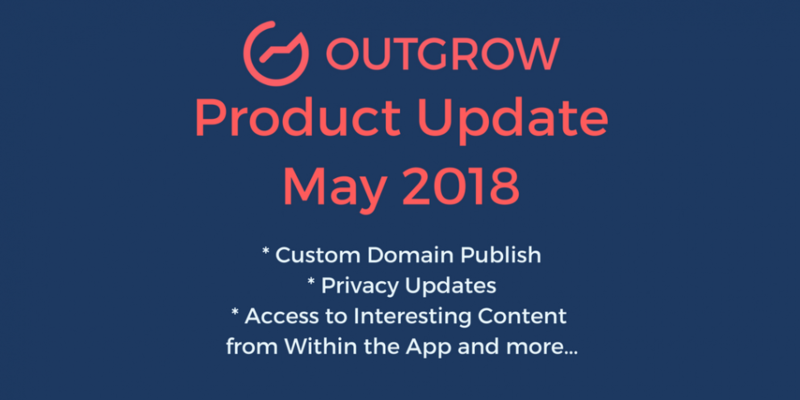 Here’s a quick run down of the awesome new stuff we’ve just launched inside the Outgrow platform. 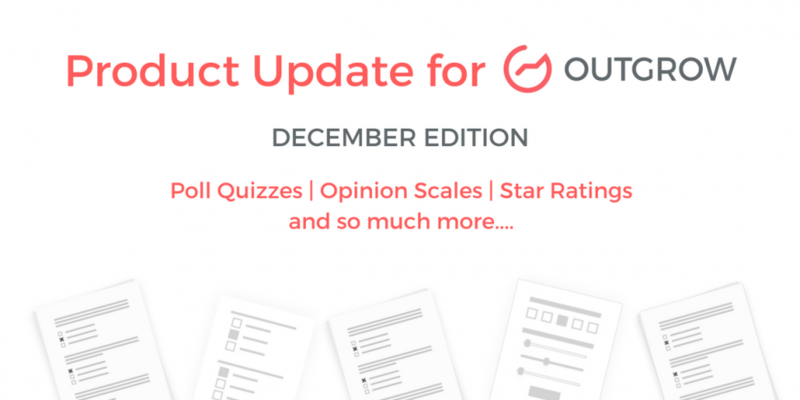 Outgrow Product Update - Say Hello to Graded Quizzes, Promotional Checklist, and Much More! Today’s prospects know how to filter and avoid well-crafted marketing tactics. Many salespeople fall into the trap of describing their products and services to their prospects, whereas the trick lies in adding value and answering their most pressing questions. 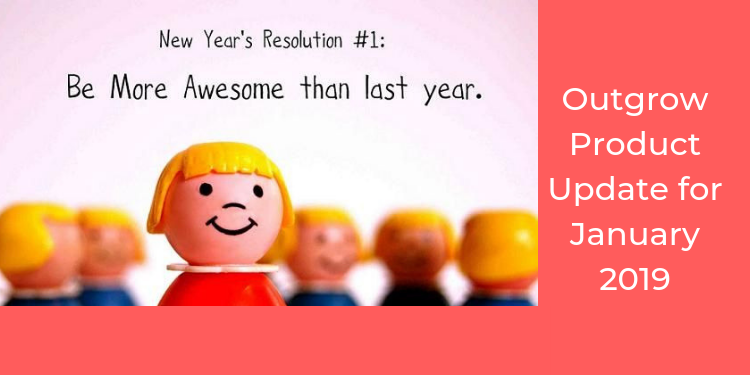 Send Outgrow data to most email marketing, marketing automation and auto responder tools.